Being I am so much more of a morning person than a night person I love to cook in the morning, not elaborate breakfasts mind you but Dinner. I prep , chop and set up my slow cooker and it’s all in by 8 a.m. I cooked this on low for 8 hours and then on high for 2. You can do it on high for 6-8 as well. Almost fool-proof and you’ll love the benefits. When you enter your home at the end of the day your house will smell amazing, your dinner will be almost ready and you’ll have one pot to clean after dinner! Wow! Now of course you’ll have a bit of a mess in the morning but that’s OK because you’ll have more energy in the morning . Shop ahead and have all your ingredients ready and you’re set . I love slow cooker meals. 2 lbs. boneless beef chuck, cut into 1 inch cubes — the butcher usually has this meat already cut up. You can add an extra lb. of meat if you have more people. 1 lb. baby potatoes — they come in a bag and are perfect just the way they are. Of course you can cut up larger potatoes if you wish. 2 cups Frozen Peas– I used frozen peas you can also add frozen corn if you like or use both. Take out the meat and dry it off with a paper towel. Sprinkle liberally with Kosher Salt and Freshly Ground Black Pepper on all sides. Heat a skillet with a little olive oil and sear on each side for a few minutes just to get a crust on the meat. You will not be cooking the meat just searing. I spray my slow-cooker with cooking spray (Pam) and then add the meat, the carrots, potatoes, onion and garlic. Add the beef broth , tomato paste, Worcestershire sauce, italian seasoning, and I added about a 1/2 tsp. 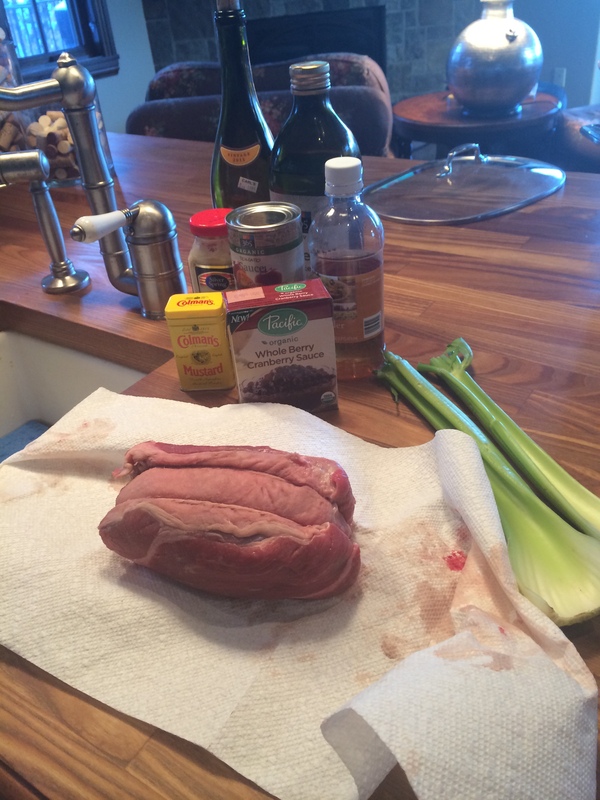 of Kosher Salt and a few grinds of the pepper mill (6) . You can taste at some point and always add more. Cook on low for 8-10 hours or High for 6-8 hours. An hour before serving, I take out about a cup of gravy from the beef stew and whisk with 1/4 cup flour. Then stir into the stew along with the frozen peas. Stir and taste for S and P at this point. I let it cook on high for 2 more hours. You should let it cook for at least 1 more hour after the addition of the flour. The flour will thicken the gravy, so you’ll want to cook for at least 1 more hour on high setting. Enjoy! a loaf of crusty bread would be in order on the side. 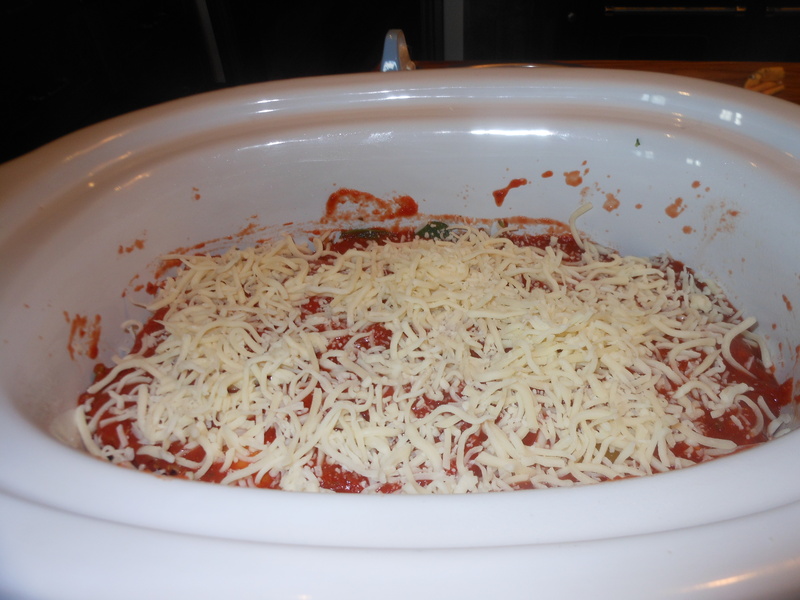 This is a very easy recipe and will cook in the slow cooker on high in 6 hours! So set it and forget it. This is a re-blog from last October so if you missed it you get another shot at it and if you already made this recipe here you go again. It’s the Golden Globes Awards this evening and I intend on eating this in front of the TV Screen. No muss No Fuss come tonite, all the heavy lifting will be done by noon. My kind of cooking. Slow cookers make for perfect cooking all year round. Nothing better than setting it and forgetting it! Making life easier and less clean up after dinner. I happened to have a package of Taco Seasoning Mix in the house so I used it along with cumin and chili powder. I used dark meat and white meat chicken, you can use whichever chicken you’d like. Just set it and forget it and come home to this delicious meal of chicken . If you don’t own a slow cooker this may be a good time to buy one! Follow me on Instagram @cookingwithcandi I’ll be looking for you! I originally posted this recipe back in January of 2013 and it has gone on to be a staple in not only my house (one of Joel’s all time favs) but so many friends and family have added this wonderful and easy recipe to their menus. It really is an easy recipe and it frees up your oven for other things you may want to cook making it a perfect addition to Holiday and Party meals. This is how it started , my friend Karyn was raving about this simple but awesome recipe after she stayed at her Son and Daughter in Law’s house . I knew I had to make it, just sounded so good. I am always looking for new ways to use my slow cooker and Joel loves skirt steaks, so this was a win win. There are certain people in your life you just trust when it comes to food, Karyn is definitely one of them. I spoke to Bree and she said she never measures it out but was able to give me some guidelines. Now that I’ve made it for myself I get it, and it really couldn’t be easier. Sometimes the simplest recipes are the best . Again Thanks to Bree for your back and forth emails and mostly for your recipe. I love it when the young cooks turn me on to new recipes! Keep ’em coming. Joel absolutely loved it!!!! I served with roasted cauliflower and brown rice, but you know he didn’t touch the cauliflower which was so delicious. * I used 1.39 lbs. of meat for the 2 of us and there wasn’t a single morsel left. Increase all ingredients as you need them. I pat my meat dry with paper towels, then I salt and pepper both sides. I lightly sprinkled because of the sauce which contains salt. I sprayed my slow cooker with Pam to make clean up easier on Joel. Placed steak in slow cooker, covered with enough Soy Vay just to cover , as Bree told me it doesn’t need to swim in it just to cover. Added fresh OJ, moved steak around a bit to mix up all ingredients, turned on slow cooker for 6 hours on low! Awesome! Thanks so much to Bree for sharing this recipe. I am always on the look-out for a brisket recipe and it seems like everyone is always asking me for a good brisket recipe. If you ask me brisket is the ultimate comfort food, it’s old fashioned pot roast slowly cooked with just a small amount of ingredients. This is a great recipe for the Jewish New Year because you can cook it ahead of time . 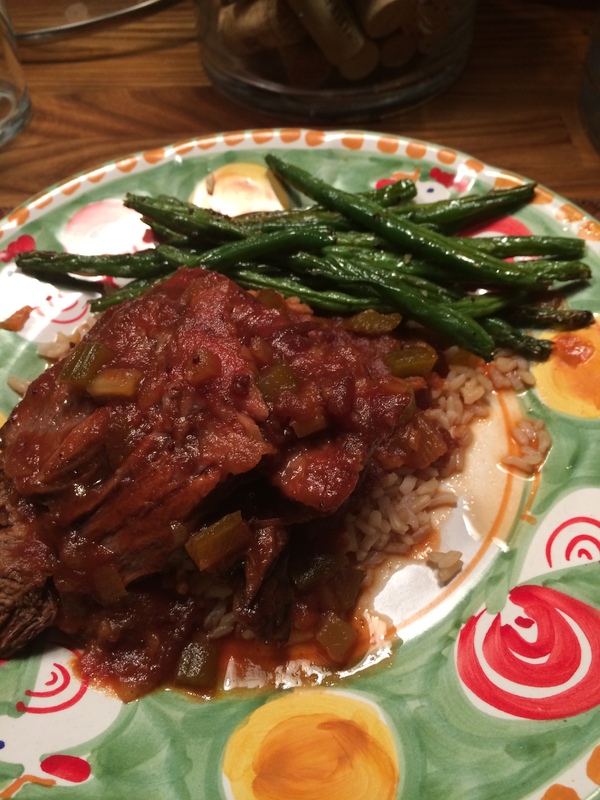 My friend Susan gave me this recipe for a slow cooker brisket and I actually made it the night before in the slow cooker . I cut up the onions , seared the brisket and got it all together in about 1/2 hour and put it in the slow cooker by midnight! When I woke up in the morning the house smelled amazing and the brisket had cooked for a full 8 hours! I then took the whole insert with cover and refrigerated it till later that day when I would remove any and all congealed fat that had naturally gathered in the pot. I highly recommend doing it ahead of time so that you can remove any unwanted fat from the brisket. You can even do it a week ahead and freeze the brisket, or a few days ahead whichever works best for you. The recipe is from the website Kitchn and Susan had already made it so I knew it would be good. So easy and so good. This is such a wonderful recipe I highly recommend for the Jewish Holidays or any time you’re in the mood for good comfort food. I also recommend an electric knife as it is the best tool for slicing a brisket thinly and getting the most out of the meat. I love my electric knife and it is great for cutting all roasts. Ingredients are simple and you probably have most of them in the house already. *If you are freezing it, you can slice up and then put it in the freezer. Take out of freezer and re-heat the way I did. Heat a deep sauté pan or cast iron skillet over medium heat with the 1 tablespoon olive oil. Add the onions and cook on medium-low to medium heat, stirring frequently for app. 20 minutes or until the onions have caramelized lightly. This means that the onions will lightly brown up and completely wilt. 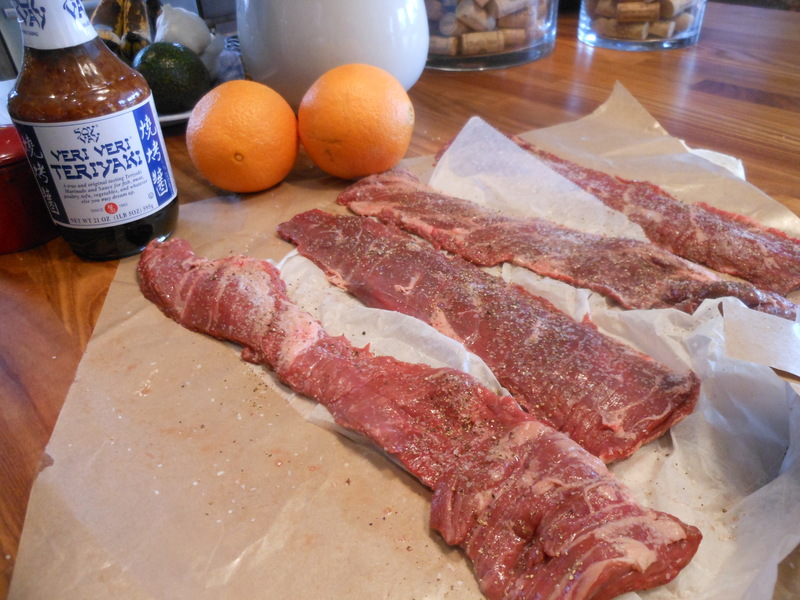 Remove brisket from its packaging and pat it dry, season the meat with salt and pepper generously. While the onions cook if you have another large skillet or sauté pan heat it up over medium-high heat and turn on your vent or fan. Sear the brisket until a golden brown crust appears on both sides of the meat. Remove and place in a slow-cooker insert fatty side up. I would spray the insert with cooking spray first. If you don’t want to dirty 2 pans wait till the onions are cooked and then just add brisket to that pot to sear. Sprinkle the minced garlic over the meat. Pile the sautéed onions on top and around the meat. Mix the broth, Worcestershire Sauce and soy sauce and pour into the slow-cooker insert. 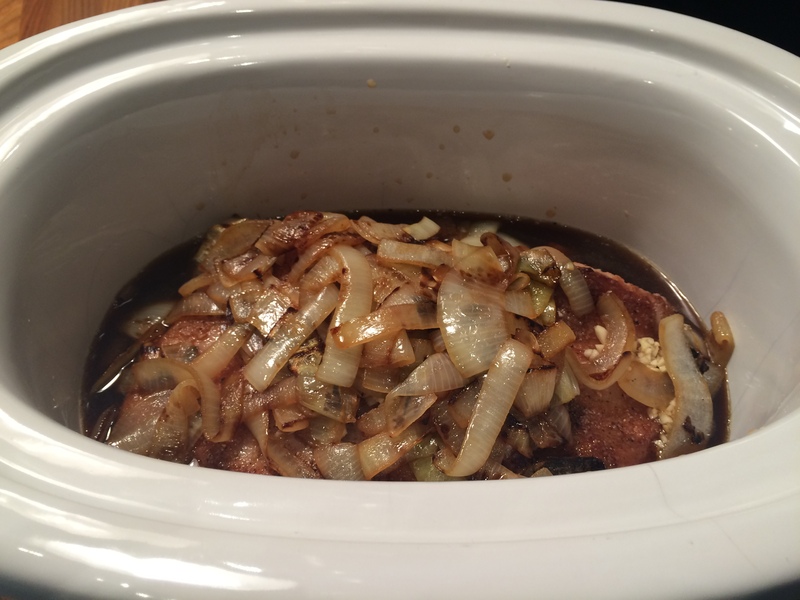 Cover and cook in the slow cooker on LOW for 6-8 hours or until the brisket is very tender. I did 8 hours because it depends on the size and shape of your brisket. This brisket was about 4 lbs. and pretty thick in spots. Now the thing about cooking ahead was that I could refrigerate it right in the insert . The next day I removed from refrigerator mid afternoon and scraped off the congealed fat. To reheat: First I slice the brisket if I haven’t already done so. Heat the oven to 300 degrees. Transfer the brisket and all the juices to a baking dish and cover tightly with a lid or two layers of aluminum foil. Warm in the oven for at least an hour till brisket is completely warmed through. Of course the timing will depend greatly on the size and shape of the brisket; once it’s sliced it will re-heat faster which is why I always do so. If you don’t have a slow cooker and don’t want to buy one you can cook in the oven instead. 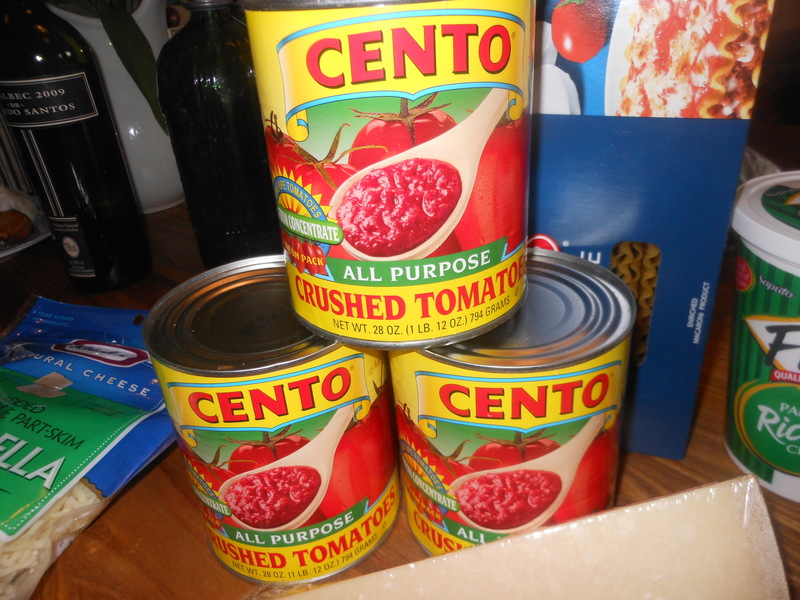 You’ll need a dutch oven ( Le Creuset type) with a lid. Or a baking dish covered very tightly with foil. Follow instructions as above but cook in the oven at 325 degrees for about 4 hours for a 4 lb. brisket. You may need to cook longer depending on the size and shape of your brisket. Cooking Time varies for how you prefer your brisket. If you want a more formal presentation you’ll probably stay within the 8 hours . If you like it shredded and more like pulled beef you may want to increase cooking time by another hour. We sliced it after 8 hours and then re-heated it and it was perfect! Sorry I didn’t take more pictures. I am always on the look-out for a brisket recipe and it seems like everyone is always asking me for a good brisket recipe. This past New Years my friends and I were making dinner and wanted something we could do quickly that wouldn’t require a lot of prepping etc. My friend Susan gave me this recipe for a slow cooker brisket and I actually put it in the slow cooker Tuesday night before New Years. We came home from dinner and I cut up the onions , seared the brisket and got it all together in about 1/2 hour and put it in the slow cooker by midnight! When I woke up in the morning the house smelled amazing and the brisket had cooked for a full 8 hours! I then took the whole insert with cover and refrigerated it till later that day when I would remove any and all congealed fat that had naturally gathered in the pot. I highly recommend doing it ahead of time so that you can remove any unwanted fat from the brisket. You can even do it a week ahead and freeze the brisket, or a few days ahead whichever works best for you. 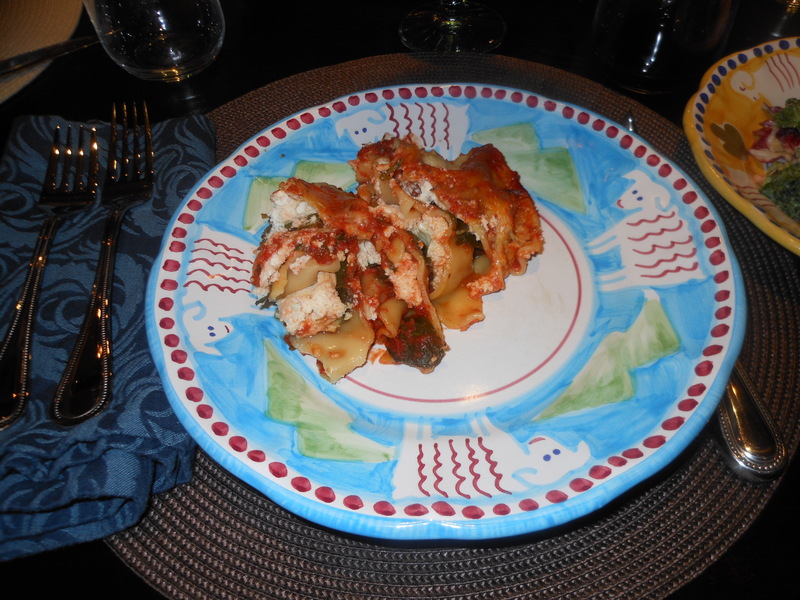 The recipe is from the website Kitchn and Susan had already made it so I knew it would be good. So easy and so good. Remove brisket from its packaging and pat it dry. While the onions cook if you have another large skillet or sauté pan heat it up over medium-high heat and turn on your vent or fan. Sear the brisket until a golden brown crust appears on both sides of the meat. Remove and place in a slow-cooker insert fatty side up. I would spray the insert with cooking spray first. If you don’t want to dirty 2 pans wait till the onions are cooked and then just add brisket to that pot to sear. 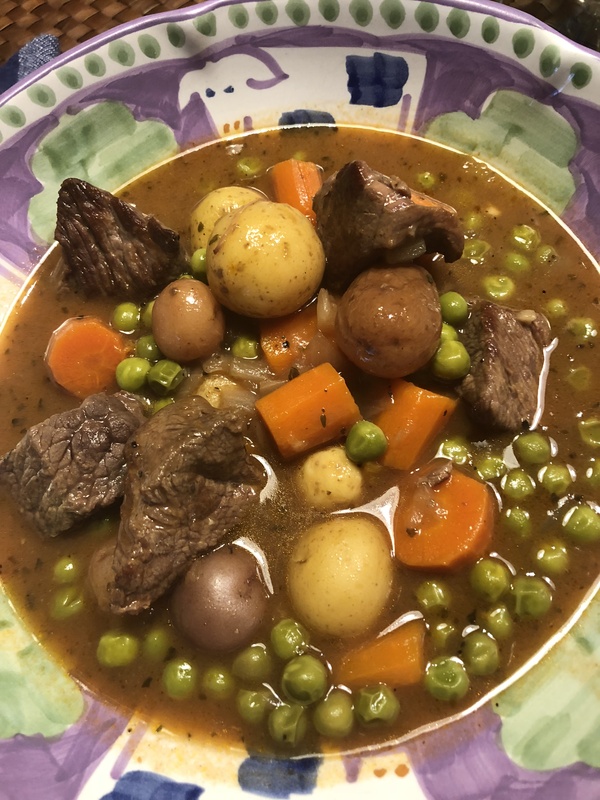 This Pot Roast in the Slow Cooker has been on my to do list for a long while and last week I finally figured out a recipe that worked out wonderfully and I am going to share it with you. When it comes to slow-cooking, browning the meat is an optional step. I almost always brown my meat first because I prefer it that way and I think it just tastes so much better that way. It’s up to the individual and it’s all about the texture you’re trying to achieve, with roasts and stews I almost always sear it first. This roast was just luscious and I highly recommend searing it first. It will form a nice crust on the outside of the meat . Braising , or slow-cooking in liquid, is the easiest way to tenderize any meat and bring out it’s flavors. A braise is not the same as a stew. A braise refers to a large cut of meat cooked in a small amount of liquid, while a stew is meat that is cut up into small pieces and cooked in plenty of liquid. Searing the meat locks in the flavor and forms a crust around the meat. I used ingredients from the fridge and pantry and came up with this combo. 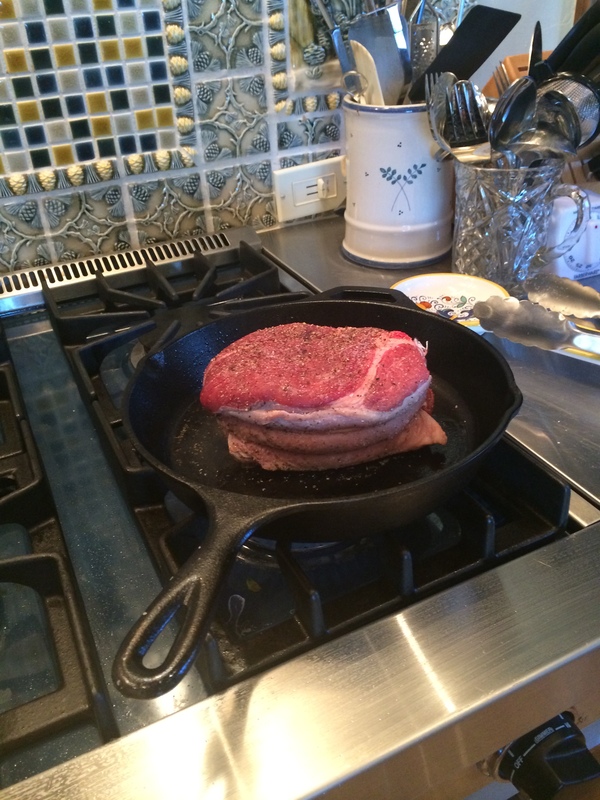 Kosher Salt and Freshly Ground Black Pepper and 1 Tablespoon Olive Oil for searing meat. 1. 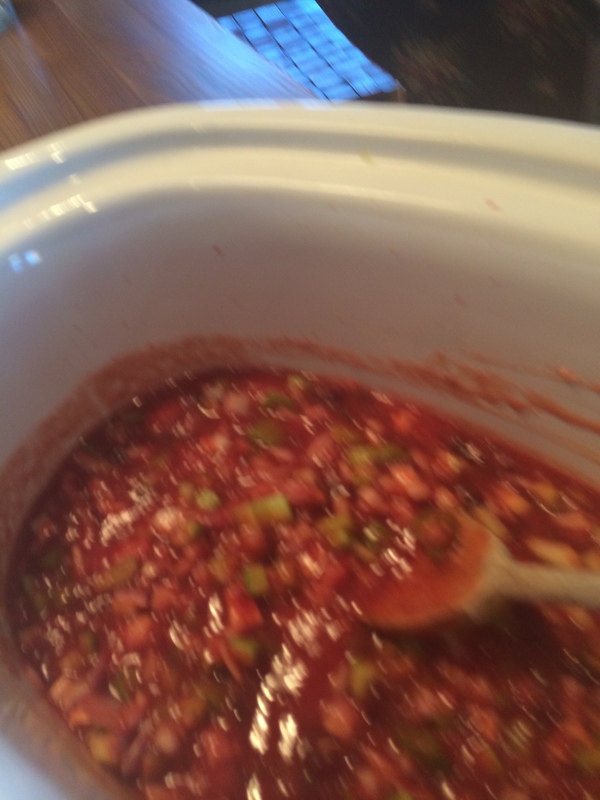 In the slow cooker, stir together the tomato sauce, cranberry sauce, wine, shallots, celery, vinegar, olive oil, horseradish and mustard. Cover and turn to HIGH: cook for 30 minutes. While this is cooking continue to next step to sear meat. 2. I patted the roast dry with some paper towels. I then rubbed a little olive oil all over the roast with my hands. I then generously sprinkled the roast with kosher salt and freshly ground black pepper on all sides. I heated up about a tablespoon of olive oil in a cast iron skillet till oil shimmered. Placed roast in pan and seared it on all sides. You will let it sit for a few minutes on each side, you just want it to brown up on each side and form a crust. 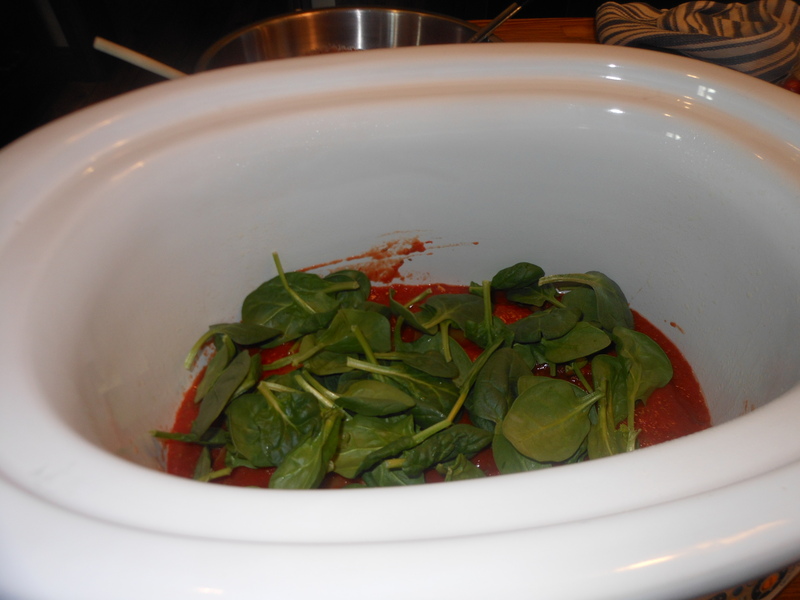 Place the roast in the slow cooker and spoon some of the sauce over the top. Cover and cook on LOW for 8 – 10 hours. To serve: transfer the meat to a cutting board and I used my electric knife to make beautiful slices. 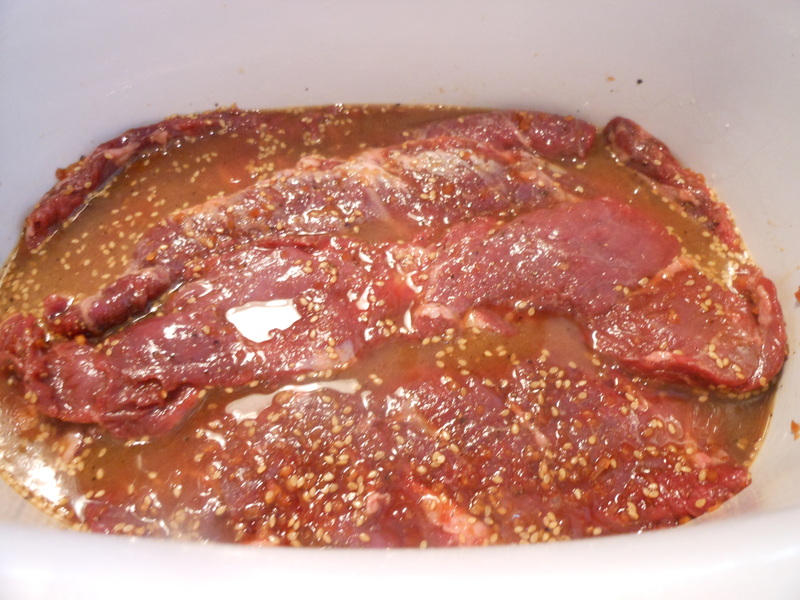 If the sauce is too thin ( which mine was not) continue cooking sauce for a few more minutes while you slice meat. Serve meat with vegetables and sauce .